Bridget is an awesome little girl. At 5 months old, she is still a puppy. As with most puppies, Bridget loves to play but is pretty gentle. She does get excited as most puppies do, but calms down quickly and easily. Bridget currently lives in her foster home with an 8 year old human brother and an 11 yr old human sister. They play with her daily. 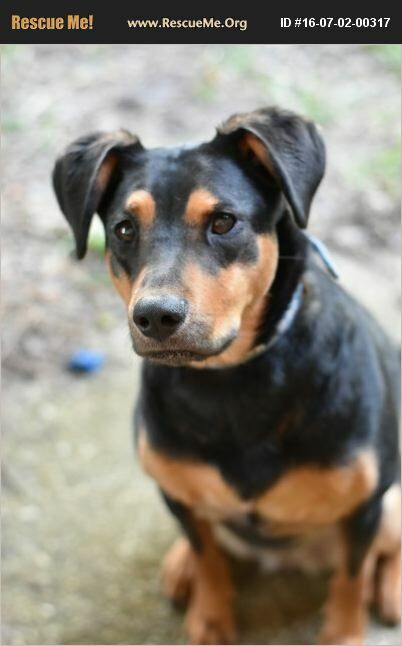 With consistent training and socialization, Bridget will grow to be a wonderful family companion. But, she will need someone who can commit to and follow through on both. **PLEASE NOTE: Young puppies are always lovable, but they require a lot of attention, effort, exercise, good nutrition, and proper training to develop into lovable and socialized adults. Please do not apply to adopt a puppy unless you are 100% committed.